Our member of staff will contact you shortly. 10 000+ £50 per 1000 All prices stated are for Solus Distribution VAT free. Your peace of mind is assured, as we guarantee 100% delivery of your marketing material. When we finish distribution, a complete demographic report is emailed to all our customers. The report gives you detailed insight about your campaign, taken from GPS tracking devices used by our distribution team. You will see the path of the route in detail, literally tracking our path from door to door. It gives you an excellent opportunity to monitor your advertising campaign without leaving your den. Service provided to our customers only. 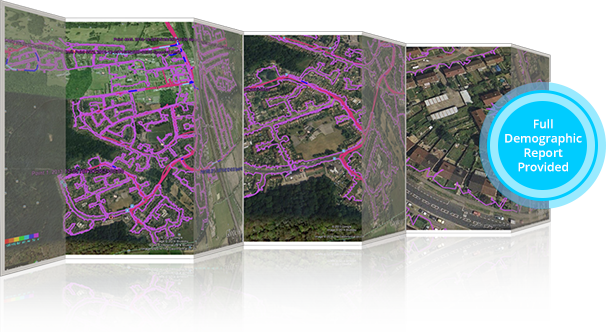 Regular quality checks are performed on all our leaflet distribution teams by independent supervisors, and all checks are backed up with GPS tracking systems to guarantee quality service. "I’ve used other distribution companies before, but I haven't had such positive results. Customer interest has increased significantly, keeps me happy. Well done!" "On the first day of distribution we had customers calling and coming through the door. I’m impressed how effective is your service. Thanks and will definitely call you again"
"Thank you. I have had quite a few calls so very pleased. Will do another one possibly end of month and will call to arrange nearer the time :)"